Your metabolism is important for many reasons. You need your metabolism raised to motivate yourself to work out. You need a higher metabolism to keep your energy up throughout the day. Your metabolism is important to help you be more productive through the day. You will also need a higher metabolism level to burn off the food you eat. This is the just the start. If you want to live healthier, you need to kick start your metabolism. Research shows that there are some simple ways you can kick start your metabolism. There are many factors that are involved with your metabolism rates. Some of these things include gender, body fact, genetics, age and more. The majority of these factors are out of your control but that doesn’t mean you can’t do some things to kick things up. 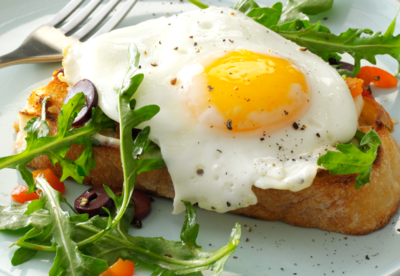 One of the first things you should do to kick start your metabolism is to eat your breakfast. This will sped your metabolism up and help in controlling appetite over the day too. This is important for losing weight, managing weight, improving energy and more. You should make sure all your meals are important and that you don’t skip any of them. Start off by eating your breakfast. You should also go to the gym if you want to kick start your metabolism. Something you should be focusing on is your resting metabolic rate. Each pound of muscle you will use about 7 calories each day to sustain being there. Fat uses about 2 or 3 calories for each of the pounds. This means going to the gym and building your muscle will increase your metabolism and use up more calories. If you want to kick start your metabolism, you should also eat egg whites. These are full of amino-acids and are a source for lean protein. Both of these things are needed if you are going to increase your rate of metabolism. You can also boost your metabolism by adding spice to food. You can do this with any meal you eat. The best spice to add to your food is chili pepper. This has capsaicin which lifts your metabolism almost immediately. While some studies say that coffee is not great for your health. When drinking it in moderation, you can have boosted metabolism. In fact, some studies show that your metabolism will be about 15 percent more when drinking coffee than without it. You can also drink green tea if you want to boost your metabolism. This is an anti-oxidant that helps in burning off fat and calories. If you are trying to lose weight, this is what you should be drinking. You should also eat smaller meals if you want to kick start your metabolism. This is going to help you control your appetite, manage or lose weight, boost energy levels, boost your metabolism, reduce your calorie intake and much more. Make sure you add in more protein to your diet. You can do this in many meals or snacks. When you are online, search for recipes great for your protein. Do this starting today so you can raise your metabolism levels. 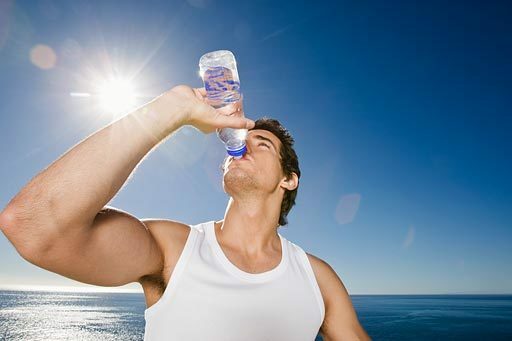 You may not want to believe it but you need to drink water. There have been studies done to show that drinking 400-600 ml water every day will raise your metabolism by about 30 percent. You need to make sure you get good sleep if you want to raise your metabolism. If your sleep schedule is irregular, do something to change this. You should aim for 7 hours a night of sleep if you are going to improve your metabolism. You now have a list of healthy ways to kick start your metabolism. If you have been suffering from slow metabolism, this needs to change. These are all natural ways you can boost your metabolism. Even if you just start with one of them, you can make a difference. Try it out now and stick with these changes long-term to keep your metabolism up.